Do you make resolutions? Being as it's January I am sure that those who do are busy setting those resolutions into motion. They could be hitting the gym, signing up to fitness class or eating more fruit and veg, but there's so much more to making resolutions than being healthier. So, this year I thought that it was time to ditch those types of resolutions and think of beauty promises instead. We all know sleeping in our make-up is bad, but we are busy people and sometimes we crash out. Make a beauty promise to yourself and take the time to make sure all traces are off your face to prevent clogged pores, break-outs, irritation and rough skin and even more importantly premature signs of ageing skin. Being a blogger that tries new products regularly I have come across quite a few make-up removers in my time, cleansers, oils, creams and more recently micellar waters. But this one from Clinique does exactly what it claims and once you've tried this make-up remover, there's no going back. I don't need to tell you that there's never a good time for a gigantic spot to pop up on your face. It's always at the most inconvenient of times - a date, a wedding or just seeing friends and family. You just know that they will be staring at your big, red, angry spot all the time. Those little buggers have terrible timing, and so, it's a good time to have some excellent spot treatments so you can keep that beauty promise in 2017. This serum from Murad is fantastic it helps normalise the oil production to help your skin look and feel soft. Using a moisturiser on a regular basis can be the answer to achieving silky smooth skin. However knowing how often to apply moisturiser can be difficult, and it's all got to do with your skin type. I have very dry skin and during the winter months I suffer with eczema, and so I need to moisturise everyday, but those with an oily skin type wouldn't need to moisturise on a regular basis. I'm a big fan of natural products and this moisturiser from Eugenia Shea which is a Ghanaian Shea Butter that promises to provide vitamins E and A all day long. It boasts in helping with skin regeneration by minimizing scars and pesky stretch marks. This all-natural, ethically produced Shea butter is simply decadent. Want to keep your skin glowing and shining for years to come? Eugenia Shea is your best bet. We could all take care of our nails a lot better. Growing long and strong nails is a multi-step process but if you take good care of your nails, you can grow them to the length you desire. I am more of a natural nails kind of girl and only use gel and acrylics for special occasions as too many applications can leave your nails dry, brittle and unlikely to grow. I do give myself regular manicures and always make sure that I take good care of my cuticles but something that I don't do too often is apply strengthening treatments. A new beauty promise for 2017. This growth treatment by Nails Inc is everything you will need. It has the perfect blend that will successfully protect and repair damaged nails while strengthening them against splitting and peeling. 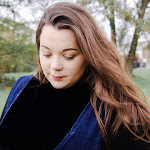 I'm sure that I am not alone when I say that I really over-style my hair with shampoos, conditioners, styling products and my poor straighteners have just about had it! Sadly, hair can be damaged quickly, but bringing it back to good health can take some time. But for me by having regular hair cuts, keeping the hot styling tools to a minimum can help, it's OK to let the bouffant dry naturally. But when I begin to see a few split ends I will switch my cleansing and styling products and use some that have been designed to help protect and restore damaged hair. Will you make any beauty promises for 2017? 5 comments on "THE BEAUTY EDIT | Beauty Promises"
Great beauty promises, I always take my make up off, can't bare leaving any on at night! Thanks for linking up to the #bestandworst this weeks linky is open if you fancy joining in again. Amazing write up. It is very important to feel good. I use Revitol eye cream for good skincare it is very effective and has given very beneficial results. Your skin is going to be there for life. So you might as well take the time to get to know it.